No product or service is perfect. There will always be one or two areas where your product will not work as well as other, comparable products. This makes it tough for salespeople because, in order to sell well, you need to believe in your product. If you're pitching to a prospect while thinking that he's a sucker if he buys it, your attitude will show in small ways no matter how hard you work to hide it. When a product has a problem, that doesn't necessarily mean that it's a ripoff and no one should buy it. It means that prospects for whom that particular feature is important shouldn't be your target market. Instead, you should focus on prospects who are most interested in those areas where your product is the best. For example, pickup trucks all get relatively poor gas mileage, so if you're selling trucks then you should avoid prospects who are passionate about the environment or who are reluctant to pay high gas prices. Instead, your target market is prospects who are won over by the trucks' strengths, such as their ability to haul large loads and to go off-road. 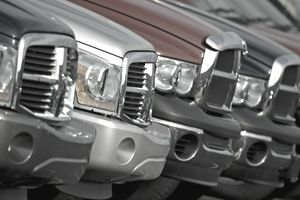 You can also pursue prospects who like the “attitude factor” of driving a huge truck. For these prospects, gas mileage is simply not a deciding factor, so they don't really consider it a flaw. What is not acceptable is trying to deceive prospects about a weakness in your product. This is both unethical and unwise, because while you might get more sales in the short term, in the long term both you and your company will get a bad reputation which, thanks to the Internet, will spread around the world at amazing speed. Your company certainly won't appreciate your actions once that happens. The first step in selling a flawed product or service is understanding it. You can't cope with any flaws until you've identified them and also become aware of the product's areas of strength. Once you've uncovered those details, you can incorporate them into your lead-gathering efforts. By taking these factors into consideration early in the sales cycle, you'll avoid wasting time with prospects who will just end up rejecting your product later. If a prospect does bring up a particular flaw during a cold call or presentation, you have a few options for dealing with the situation. One possibility is to change the standard of comparison. For example, let's say you're selling pickup trucks and the model your prospect is evaluating gets 16 miles per gallon. If the prospect brings up gas mileage as an issue, you can say something like, “This truck gets better gas mileage than either Competitor A or Competitor B,” picking two other trucks that get worse mileage than yours. In most cases, coping with a product's weaknesses means either selling to prospects for whom that particular feature is not important or else showing the prospect why another feature is even more important. Careful questioning early in the sales process can help you identify what's most important to the prospect, and you can then focus your pitch on those areas. With this approach, product flaws will usually be irrelevant to the sales process.